Notes: Fine dining with a casual flair. Fireside Grill is one of those places I probably never would have tried without something like Dine Around to entice me... it's out of downtown, the outer impression of the restaurant and grounds is not my style, and I've never heard any of my 'foodie' sources speak about it. However, this is a case where Dine Around is definitely worth its weight in gold... I never would have expected to be as impressed as I was with the overall package. The Fireside Grill decor is a little bit eccentric. I saw a Foursquare tip that suggested it felt a little like something out of Harry Potter, and I can see where they're coming from. The tudor-style decor has been 'modernized' with a stencil decoration between the dark beams and large, modern vases full of understated bouquets. There are several nooks and crannies for smaller groups that remind me a lot of a much-enlarged version of the property I lived in for a while in the UK which had been a former pub dating back longer than my brain can fathom. The regular menu suffers a little bit by trying to have something for everyone. The selection of mains is extensive, but they also have a tapas menu that is a good deal after 8pm. It looks to me like they regularly have a 3 course fixed price menu on, not just during Dine Around, but I'm not perfectly clear on that one. That being said, everything we had was impeccably presented and very well prepared. The property has quite an interesting history, dating back to the 1940s when it started as a mid-way tea room stop between the city and the Airport/Butchart Gardens. I have vague memories as a child of visiting it in one of its (several) former incarnations, the Chantecler, for brunch with my Nana. Back then it definitely felt like it was catering to the 60+ crowd, and I suspect their brunch extravaganza on Sundays still serves many of those same crowd, along with stop-ins from tour buses. It also strikes me as an excellent venue for a wedding. So what I'm saying is... not really a venue for a casual night out, but definitely somewhere you could go with the family to celebrate graduation, or a milestone birthday. The space was quite dark, and as the night went on it only got worse. 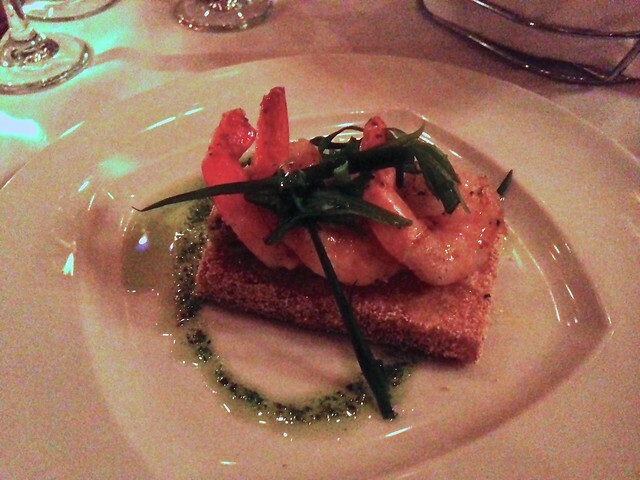 Apologies in advance for the funky photos; they certainly do not do the food justice! We were quite impressed with the attention to detail and thought that went into producing a Dine Around menu that could be produced quickly and easily, but still have high impact. So often (especially this year) we find Dine Around menus to be uninspiring, relying on simple combinations of low-cost proteins to hit the price points. Fireside's menu impressed because the chef produced a creative menu without cutting corners on impact or the kitchen's ability to produce it in a timely manner. This was my partner-in-food-and-life's choice, and I was immediately envious. I wasn't too sure what to expect, but the presentation was just Gorgeous and the sauces were very well executed. The citrus risotto cake was unlike anything we had ever seen before, and was incredibly delicious. 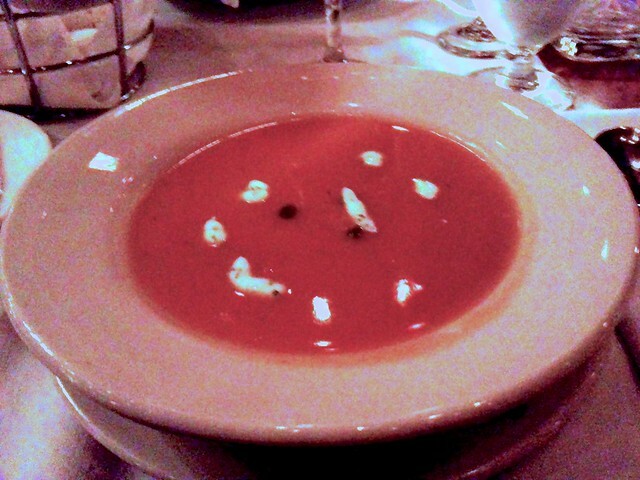 A squash soup of some sort is one of those dishes that are pulled into many a D.A. menu, but this one was done particularly well. The addition of sweet potato to the squash, as well as the flavour of the pesto and chive flavours, made this stand out as one of the best soups I have had in a long time. Shortrib is another dish that shows up on nearly every D.A. menu ever made, but again the presentation and sides took it from a potentially boring dish to something special. 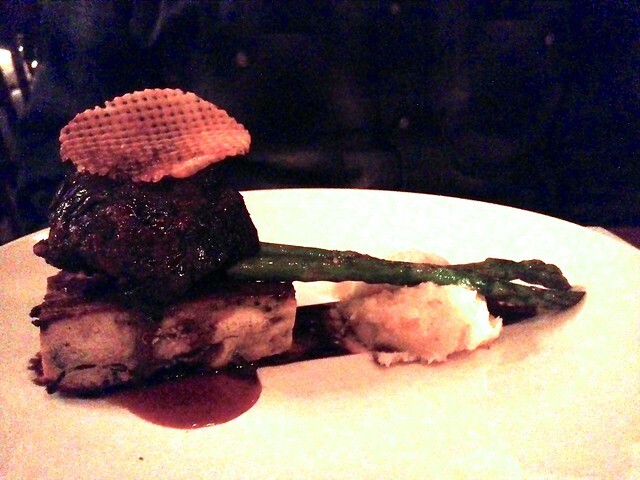 The shortrib was extremely well cooked with a nice char on the outside. The one critique was that the roast mushroom and wild rice bread pudding was a bit too similar to the risotto cake in the appetizer, but it was still delicious. I was sucked into this dish with the promise of roast tomato garlic cream, and I wasn't disappointed. 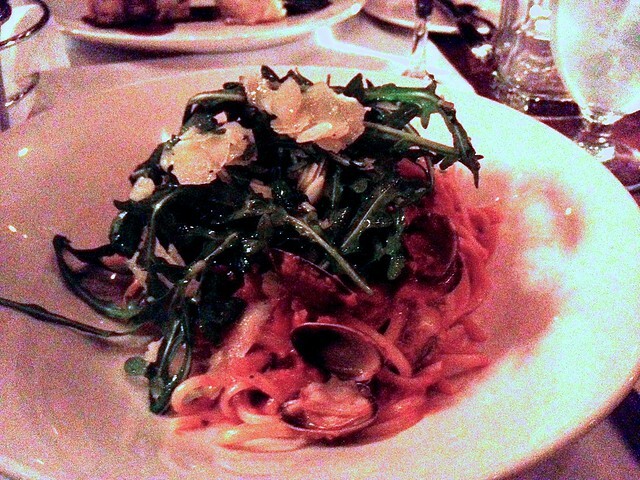 It was a simple pasta, but the overall combination of flavours was savoury and complex. The one thing I wished for was a side bowl to place my clam shells in. Maybe it's just the fact that I tend to methodically remove all the seafood from the shells before I start eating for efficiency, but I would have liked somewhere to put the shells while I finished up the pasta. This was my p.i.f.a.l. 's choice, and I was immediately envious but gave it up because it was the non-dairy option on the menu. The shortbread was excellent: soft, and not too dry. The pate de fruits were surprising but interesting: little squares of jelly that melted into puddles of sweet deliciousness once touched by a fork. 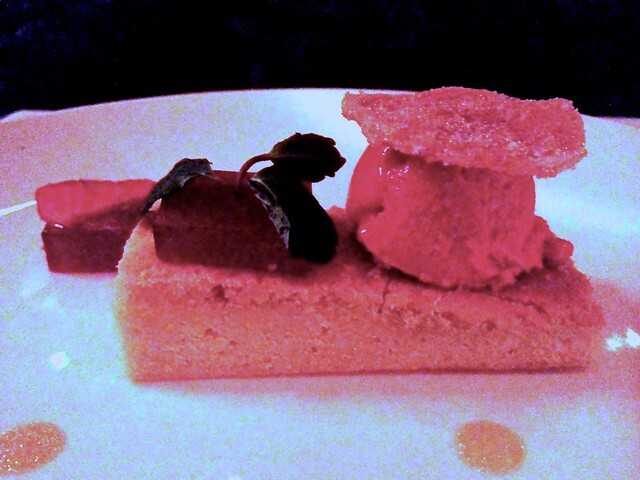 The sorbet was very bright and sweet, but when paired with a bit of shortbread they worked well together. 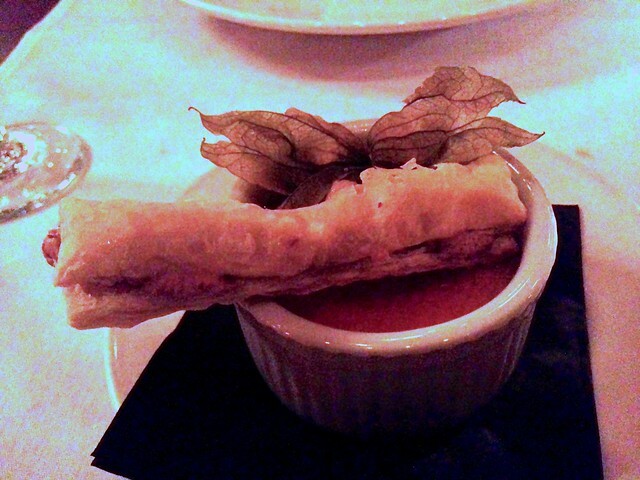 I couldn't turn down a brulee, and I wasn't disappointed. The execution of the creme component was as close to perfect as I have ever seen, holding its own shape perfectly. The banana bouchee on top was two very flaky pieces of pastry stuffed with a banana-flavoured filling. The service was the thing that surprised me the most about the Fireside. The branding on their website felt to me quite casual and young, but the actual experience was just the opposite. The servers all felt like the came out of the poshest restaurants I have experienced in my time. It really felt like what I refer to in my head as "dinner service" — formal place settings, dish-specific cutlery, and a formality and slickness to the server's behaviour that smacks of 5 star dining ala the Empress or the Union Club. It certainly elevated to tone of the evening. The timing was also really, really close to perfection, but not quite. The first course came out in record time, as did the second, but there was an unexpected gap between that and the dessert which took away from all the built up smoothness. 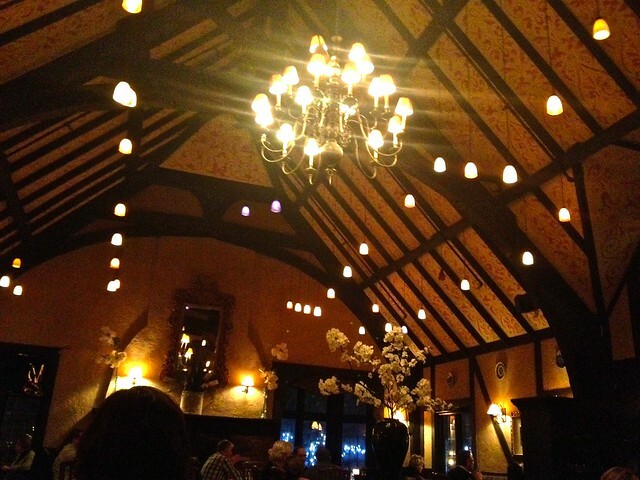 For me, timing is such a deal breaker when the decor and the price point is 'fine dining.' I cut them some slack, because it was the first night of Dine Around, and clearly the kitchen was slammed, but it's worth noting because it was the one tarnish on an otherwise flawless service.